Please note that those organisations utilising the Reserved Seating area now have the ability to Add and Remove their own seats from seating sections. To Add or Remove a seat go to Tools > Reserved Seating > Edit Sections. 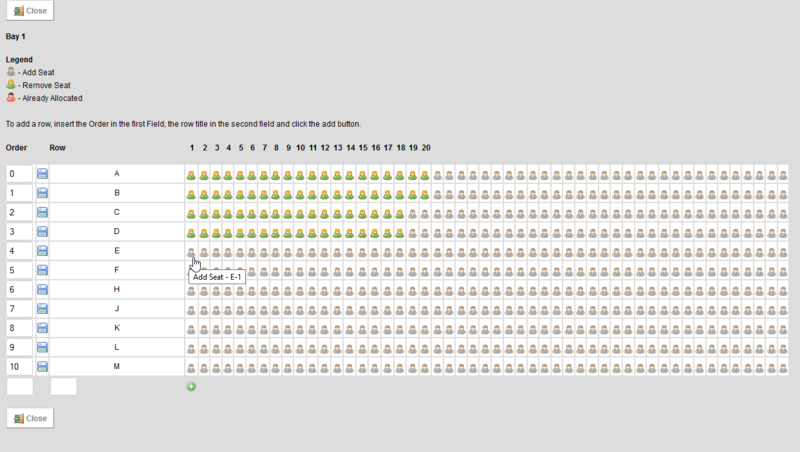 To Add a seat please click on the tinted icon you would like added. To Remove a seat please click on the green icon. You can only remove a seat if there are no members attached. This function is only available if logged in as an administrator (not a user).